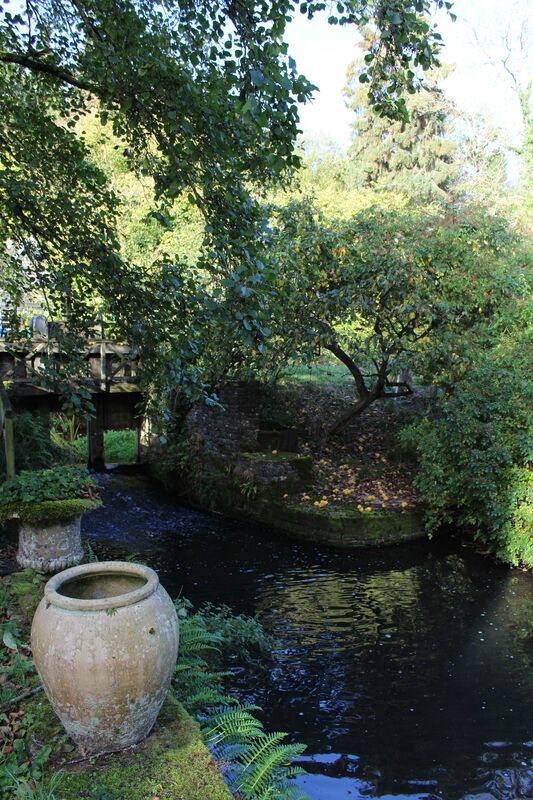 We have a beautiful quince tree at the Mill, which overlooks the sluice gates and the mill race. Laden with golden fruit, we collect as many as we can each year to make membrillo. 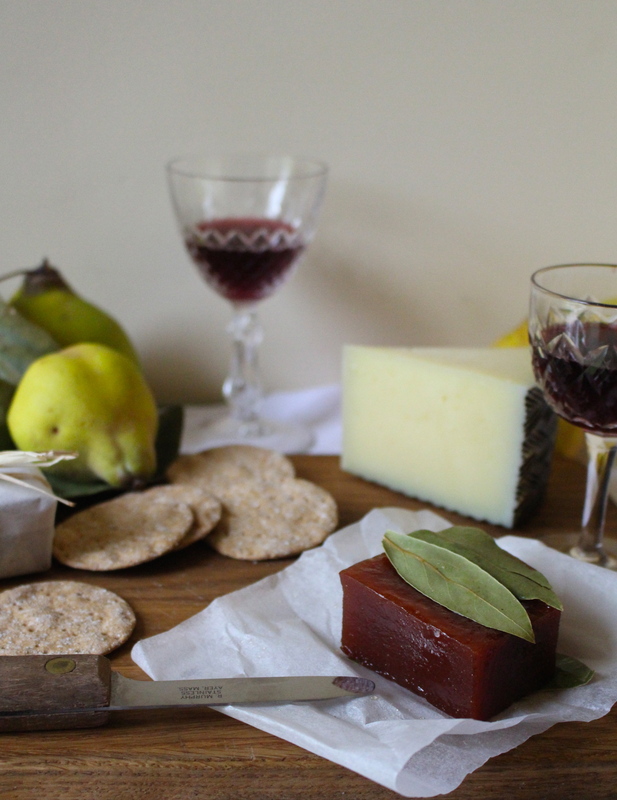 If you’re not familiar with membrillo, it’s a delicious type of firm quince paste, that is beautiful served with cheese. It goes particularly well with Manchego (known as Romeo e Julieta when served together in Spain), and makes a delicious after dinner alternative to a sweet pudding on an autumn or winter’s night. This recipe is very easy to adapt to the amount of quinces you can get hold of, as you just use approximately an equal weight of sugar to the weight of your stewed quinces (once you’ve put them through a sieve or mouli to remove the cores and pips). The lemon juice is optional, and I only add this if the quince paste is too sweet and needs a little balancing. It will last for up to a year or more if stored correctly. The quantities are flexible, but roughly 6 large quinces, post sieving and with the sugar added, will render a 30cm square of membrillo (of course, this depends how thick you make your square and how much of the pulp you remove, so use this as a rough guideline). To store our membrillo, we slice it into smaller squares and lay dried bay leaves on top of each square, then wrap them individually in baking parchment tied with twine. Keep them in the fridge. Line a baking dish or tray a depth of at least 3cm deep with baking parchment. Take 2kg of quinces (or whatever quantity you want to work with) and slice them into medium sized, rough chunks. Place them in a large saucepan, and cover with cold water over a medium heat. Bring to the boil. Simmer the quinces until they are soft – I check this by inserting a knife into them to see how easily they can be pierced. Usually by this stage their skins have burst, which is a good indicator. Keep an eye on them whilst you are simmering and top up the water as necessary – this can take anywhere between 20 minutes to an hour, depending on your fruit. 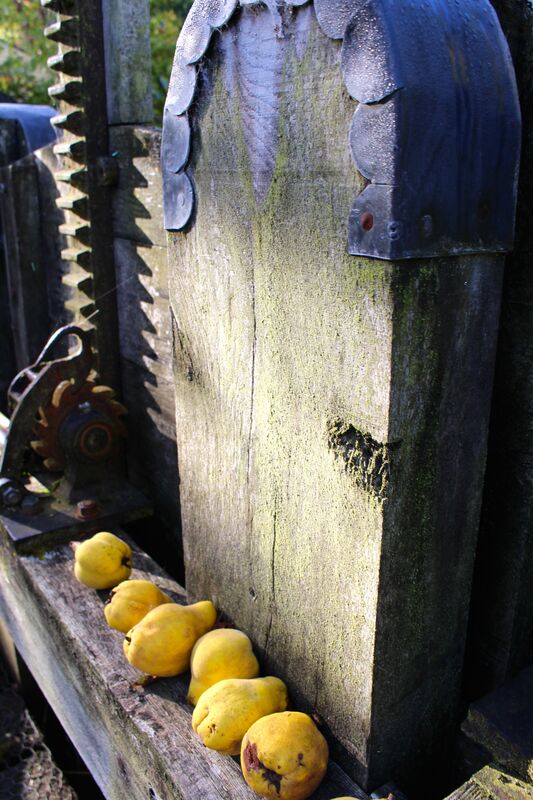 Once the quinces are soft enough to be mashed, drain the water away, allow the fruit to cool enough to handle, and then pass the quince mixture through a large sieve or a mouli to remove any stringy bits, along with the cores and the pips. Dispose of the core and pips, and weigh your puree to see how much you are left with. Once you know how much puree you have, weigh out an equal amount of sugar, and place the quince puree and sugar back in a heavy bottomed large saucepan and let it bubble over a low, gentle heat. Stir the mixture continually to prevent it from burning or sticking. Take extra care when doing this as the quince paste will bubble and spit – use a long handled spoon, and you can wear an oven glove for extra protection. Be patient with this part of the process as it can take some time. When it has turned a rich dark purplish red and the mixture has become stiff and is coming away from the sides of the saucepan, almost into a ball, check the flavour. If it is too sweet, you can add a squeeze of fresh lemon juice at this stage if it needs to be balanced out. When it is ready, spread your quince paste into your baking dish (you may need more than one if you’re making a big batch) and level it out with a spatula. Leave it to set in a warm dry place, such as the airing cupboard. Once it has cooled and set, slice it into chunks and wrap it tightly in greaseproof paper, secured into place with twine. Store in the fridge for up to a year or more.